If you have ever accidentally set off a fire alarm, you know the panic that ensues right after the initial set-off. Even if you had nothing to do with the alarm going off, you can’t help but wonder if it is a real fire, or the symptom of a light-hearted accident. But have you ever wondered, if the alarm is going off, why don’t the sprinklers? More importantly, if the sprinklers ever did turn on, how would you turn them off? Contrary to popular belief, fire sprinklers don’t all go off at the same time. So you can erase any cartoon imagery of your whole apartment being drenched out of your mind. Actually, fire sprinklers only set off in certain areas where their sensors detect heat, not smoke. In fact, fire sprinklers will only go off when sensors are responding to heat above 155-165 degrees Fahrenheit. In short, fire sprinklers only go off in the case of an actual fire. 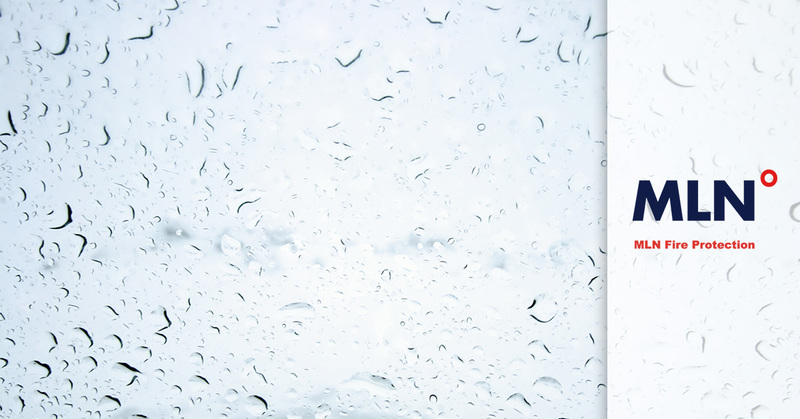 Back in 1874, a man named Henry S. Parmalee invented the first automatic sprinkler system. By improving the sprinkler systems that had already been in place, he created a water system that could be used within a building to keep workers safe. Today, the system has seen even more improvements as sprinkler systems have gained international acclaim. Surprisingly enough, however, the physical design of the system has not seen much change over the centuries. The sprinkler system contains sprinkler heads that are attached to pipes, which are installed in a building’s walls, much like plumbing. Within these pipes, water is kept in case the alarm were to go off. Sprinklers have a link between them that is only unsealed when heat is applied. Again, the heat would have to be hot and isolated enough to generate enough heat to melt the link. When the seal is taken off, this opens the sprinkler, and water is sprayed to reach the maximum amount of space to douse the fire. The good news about sprinkler systems is they are a lot harder to turn on than off. There are three valves that are needed for a sprinkler system to work: The Water Main, the Backflow Valve, and the Control Valve. The control valve turns the water flow on and off. The water main is where the water comes to your home. Fire sprinkler systems are connected to the water main in order to access water flow. When you turn off the water to your home, you simultaneously turn off your fire sprinklers. When controlling only the water of your fire sprinkler system, only manipulate the lever of the control valve. When the control valve is open, that means that water is easily flowing and your fire sprinklers are supplied. However, when the control valve is closed, that means the sprinklers are cut off. In order to close the valve, move the lever of the control valve so it is perpendicular to the pipe. It is important that you turn the valve back on, and leave it on once the heat in your living space has been regulated. If the valve is left off, the sprinklers will not come on in an emergency and will be useless to protect your home. It is important to test the water flow of your control valve once a year, but other than that, you should not be needing to turn your fire sprinklers on and off. Most likely, your living space is equipped with an electronic fire/smoke alarm that automatically signals the fire department when set off. Fire sprinklers are important because, though not used very often, when an emergency arises, they are a good resource to fight fires. They not only save 4,000 lives a year, but they protect your belongings by putting out fires. Sprinklers are useful because they respond only when direct heat is applied, and they put out most (if not all) fire even before firefighters come to the scene. Fire sprinklers save firefighters’ time, your property, and your life. 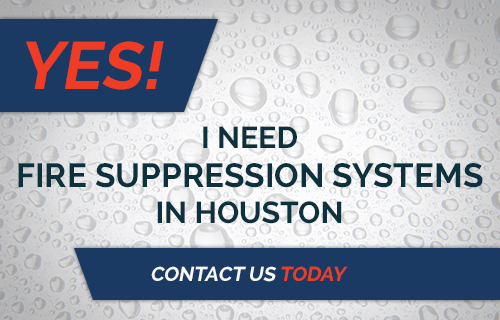 As you can see, there are many benefits to having a fire sprinkler system installed. They are an extra precaution to ensure the wellbeing of your valuables, as well as the safety of you and your loved ones. The presence of a sprinkler system in a living space creates an 80 percent fatality rate decrease. A fire and smoke alarm only alerts the authorities of danger or a potential fire, not extinguishing it. Fire sprinkler systems actually aid in putting out a fire, while the authorities take the time to drive to the needed location. In a way, fire alarm systems and fire sprinklers should be installed together, instead of placed against each other. It has been confirmed that each year, out of 365,000 structure fires, 2,300 fatalities have been recorded. The chances of surviving a home-fire threat is 99.45 percent with a fire alarm present. However, that still means that 2,300 people lost their lives due to fire. Imagine if every home was fully equipped to not only detect fire, but fight it while waiting for the fire department. We would probably see that fatality rate diminish. Why not take the extra steps for safety? 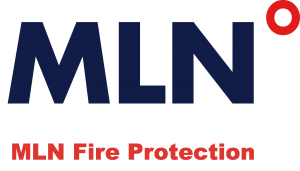 If you are at all interested in installing fire sprinklers in your home or place of business, call the MLN Company, especially if your structure has recently been under construction or built after the 2009 residential codes. Let them help you protect yourself from fire threats.